Turbidimeter Calibration Tank • Lindorm, Inc. 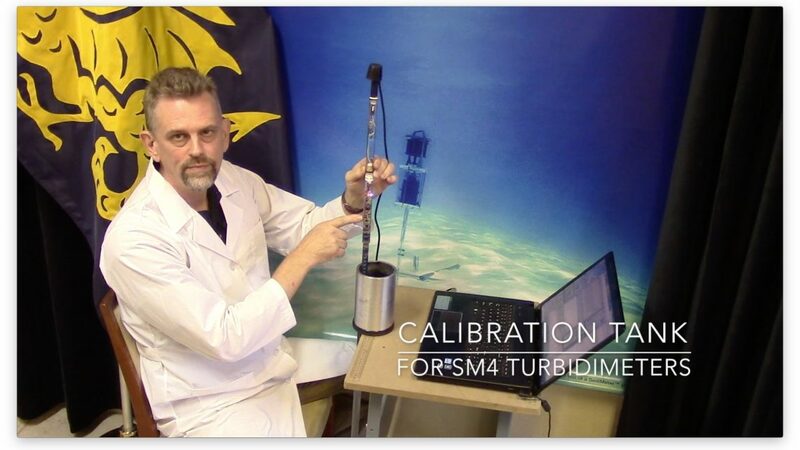 The forth generation SediMeter™ includes turbidimeters, and many customers have quality procedures that call for a way to regularly check the readings using a known standard such as Formazin. Given that the SediMeter is immersed in the liquid it measures, it needs a much larger volume than a turbidimeter that measures on a sample in a vial, for instance. Unfortunately, the liquid is somewhat costly. To decrease the required volume we have designed this tank which requires only 0.5 liters of liquid. Note that the SM4 has two co-located nephelometric turbidimeters. One is based on the ISO 7027 standard with a NIR laser light source, and the other is based on the EPA standard from the U.S., with a white light source. Also co-located are two fluorescence meters, one nephelometric and the other backscatter. In a later post we will expand on the benefits of these.